Windows come across as a gracious link between your home and nature. Windows have inspired many art works and adorning it is an art in itself. 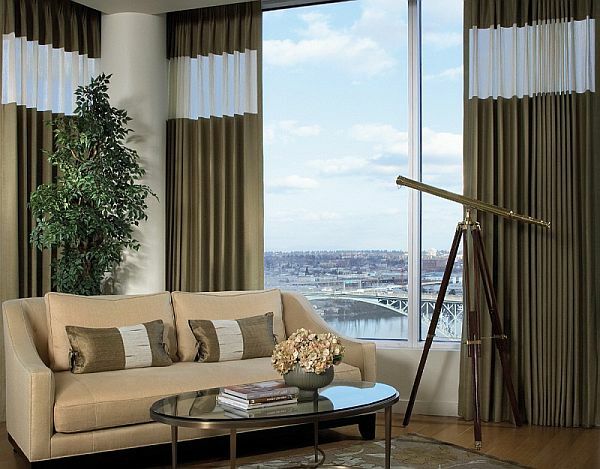 You can define the mood of a room by choosing the position of a window. There are many ideas you can adopt to make your windows attractive and modern. 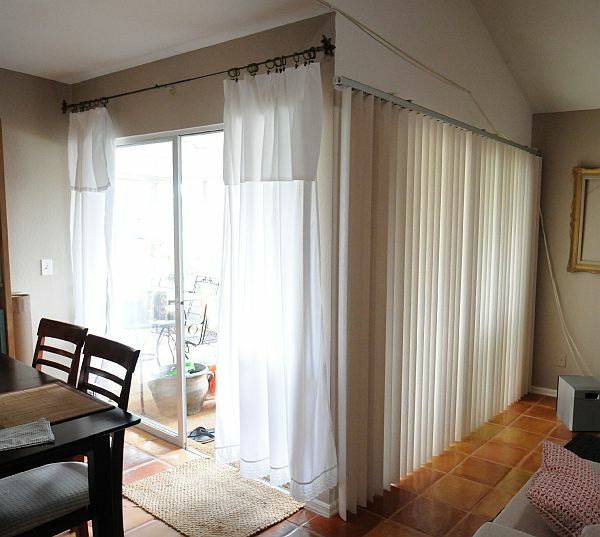 Numerous ready-made curtains, blinds, and shades are available in the market place. But more interesting and cheaper augments can be made using household articles like tablecloths, napkins, ribbons, and pillowcases. Only a little flair for beauty is needed to make them stylish. 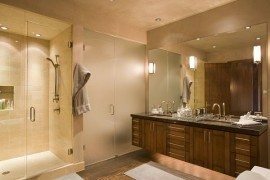 Beyond cutting cost, it also allows you to design bespoken look to your rooms. 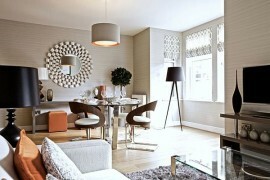 Ideal materials matching the wall of the room are essential to create an apt impact. Creative things like adding pretty rosette can give trendy panache to your window. 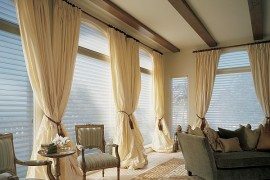 If your curtain is dark, you wouldn’t mind a little light seeping through without disturbing your privacy, you can choose for a sheer fabric across the top of plain panels. 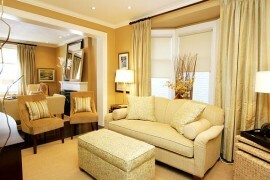 Light blue linen or brown satin can give your window a sleek dramatic mood. 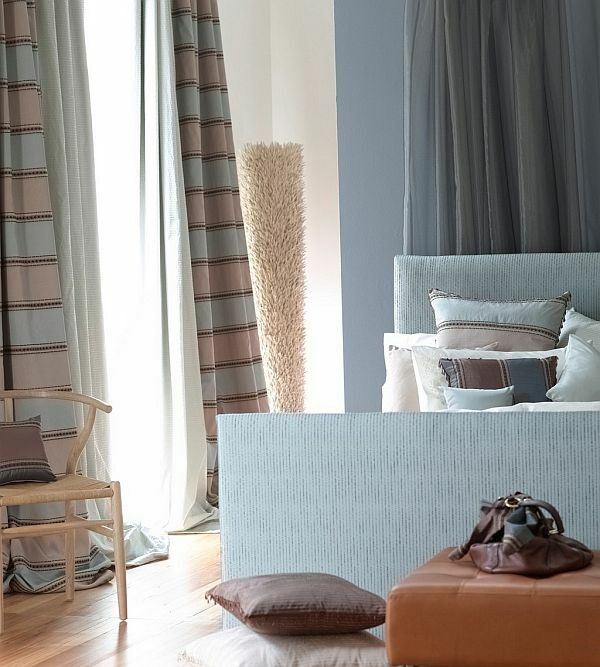 Elegant stripes sewn into the plain curtain panels with flashy colors can clear the sober mood. 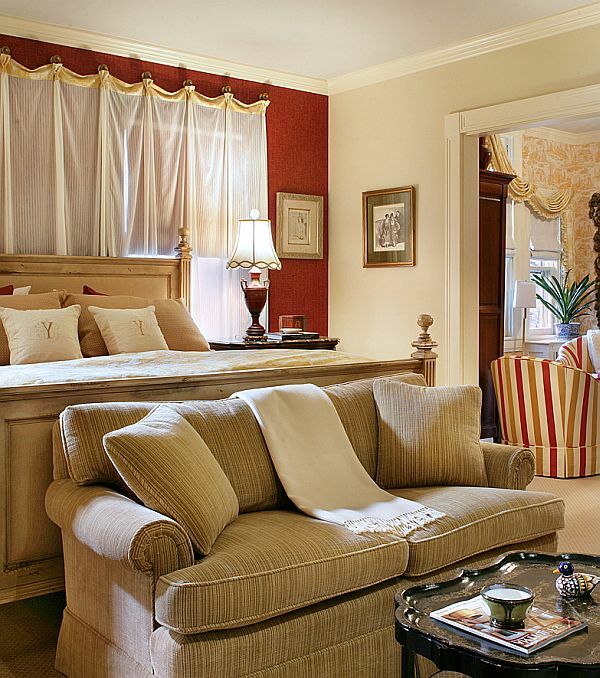 But you must ensure that the color and texture of the curtain is customized to your long term requirements. Clever usage of grommets can give a contemporary feel to the window, while letting more air. 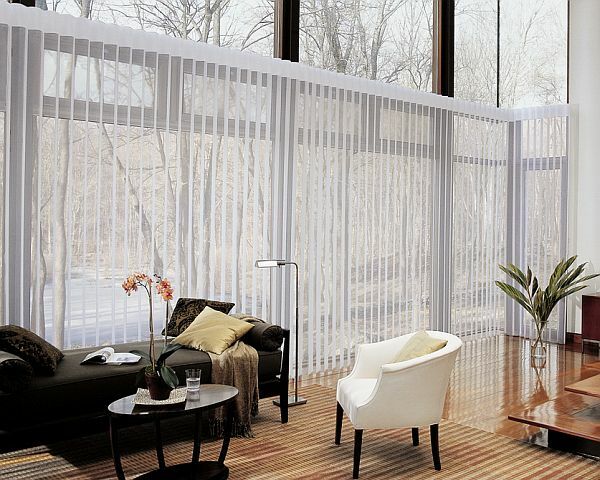 You can enhance looks of lace panels by integrating horizontal patterned fabric that looks nice and gives you more privacy. Bordering stripes and artistry on windows will be a novelty. 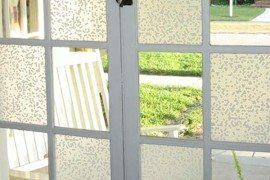 If you are interested in floral designs on fabric, you have numerous options to stylize your window panel shades.